Spring Hill Farm neighborhood of custom single-family homes located in McLean, Virginia. The community features eighteen unique custom homes sited on 25-acres of pastoral former farm land. Developed by Artisan Builders, the homes in the community reflect craftsmanship reminiscent of manor homes found in the Scottish Highlands. The first home in the community was completed in 2005. The Spring Hill Farm neighborhood is located in McLean off Spring Hill Road south of Old Dominion Drive. Homes in the community are located on Spring Hill Farm Drive. 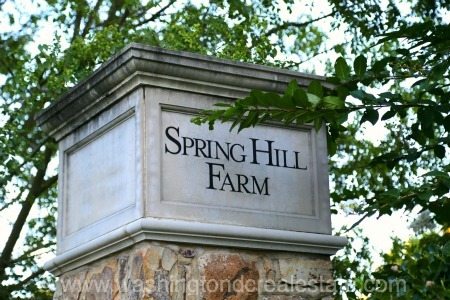 Spring Hill Farm is served by the Spring Hill Elementary School, Cooper Middle School and Langley High School.